The study shows support networks are key for cancer survival rates with marriage increasing this by 20 percent. 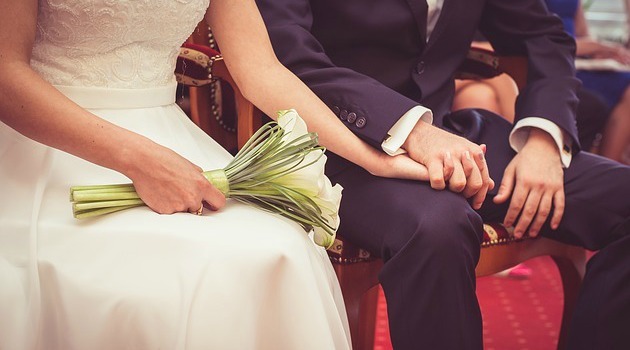 A new study conducted by researchers at the University of California San Diego have found that being married can actually up your chances of beating cancer compared to singles. Data from the California Cancer Registry, involving 60,000 people suffering from different forms of blood cancers between 2000 and 2009, was analysed and found there was a 20 percent increase for beating cancer in those who were married, according to The Telegraph. It could all come down to the support system a spouse provides according to the study author, Matthew Wieduwilt who believes that having a partner or supportive family network gives patients hope and is more likely to get support during gruelling chemotherapy sessions. The study also found that single men are worse off with nearly a 24 percent increase of death than their married peers. Wieduwilt believes the results of this study shows there needs to be a better healthcare support system in place for people without close family or partners since undergoing cancer treatments can result in feelings of loneliness and can cause people to not turn up to treatments altogether. Co-author of the study, Professor Maria Elena Martinez says doctors and healthcare staff need to be more aware of cancer sufferer’s social situations and act accordingly.